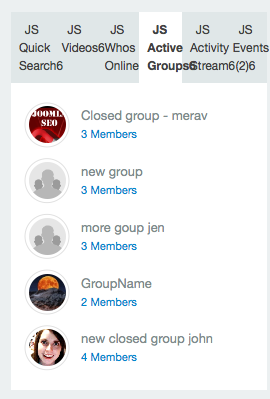 Now you can select Stream or Details as the default tab when visiting profiles, groups or events pages. Select the default tab, and press Save. To make it easier to change the titles of profile apps, we’ve added all the title language strings to the main language files. They can now be found on Joomla’s language overrides. 1. Search for the language string. 2. Select the string you’d like to change. 3. Enter the new string on the left. To allow a wider and more attractive layout and to allow more flexibility with location, we removed both zones from the event page. 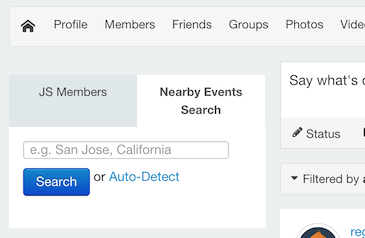 The Nearby Search is now a module that you can put anywhere on your Joomla site. The Event Calendar will be converted to a module in our next version — it’s a lot more complex and wasn’t ready for JomSocial 4.0. Now that the modules not showing badly on front page, you can start correcting this. Decide which modules you actually want to show on the front page. It’s not a good idea to show all of them, just select the ones that you think are essential. 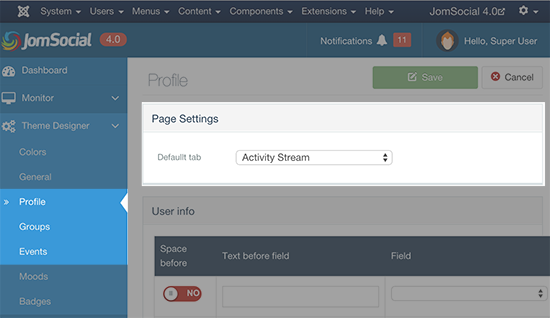 Modules that are on the same position will be displayed in tabs, based on their order on the Modules Manager. Or change the position to ANY position available on your template, sidebar-1, sidebar-2, top-1, bottom-1, etc. Whatever you want! 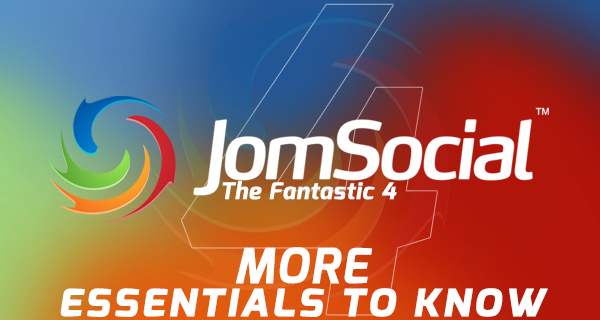 JomSocial also have lots of other module positions throughout, you can find a full list here. Now change the title of the module to be shorter, we used to add the word “community” and now we add the word “JS” just so that you can easily find the module, but that doesn’t mean you shouldn’t change it to something more reasonable that fits your needs. For example, replace “JS Recent Photos Module” with “Recent Photos”. Do this with every module and then publish them. A clean sidebar with tabbed modules.